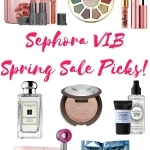 Sephora So Long, Summer Sale! 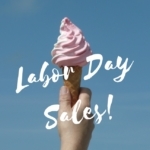 We’re nearing the end of summer (welp) and that means it’s time to start moving merchandise to make room for fall launches and holiday. 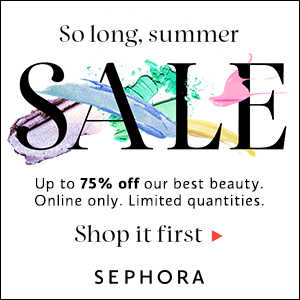 Sephora has a “So Long, Summer” Sale, with savings up to 75% off! 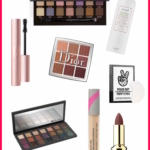 I’ve picked out some of the buys you need to snap up. Items are selling out quickly, so this isn’t the time to sit on the fence. 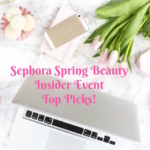 If you see brands you’ve wanted to try or products you saw at Sephora, but weren’t sure of, buying them on sale is a great opportunity. 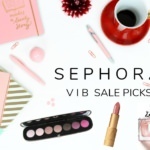 I mean…an Amazing Grace Rollerball for $15? Heck yes! 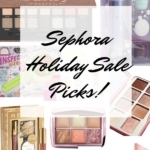 What are you shopping for? Let me know in the comments! 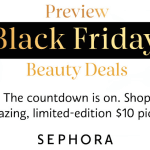 Sephora $10 Black Friday Deals 2015!